The NFC West is setting up to once again be a very competitive league. Unfortunately, one or more of these teams will likely pay for having such a brutal schedule but at least two teams are built to weather the storm. While Arizona has a very good defense and an improving (though half aging, half young) offense but still has no proven winners. Patrick Peterson will have to take over games for the Cardinals to really make a dent in this division. St. Louis has a bit of the same without the balance on offense. Given a bit more consistency on defense the Rams may surprise some folks. In the end it’s still going to come down to the 49ers and Seahawks. These two teams are built for deep playoff runs and while both lost a little depth on defense, neither lost enough talent to fall off the pace of last season. 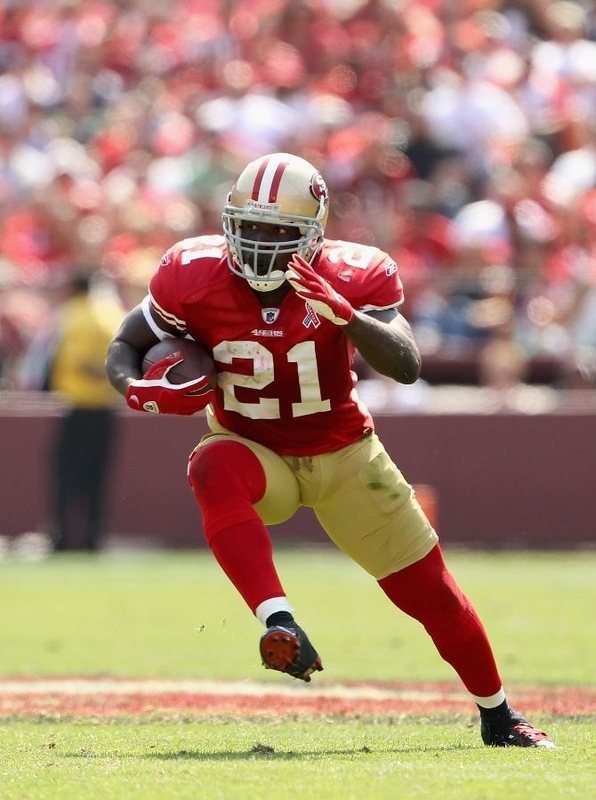 Frank Gore must stay healthy for the 49ers to finally get back to the big game. San Francisco (13-3). This defense really is the new-age Baltimore Ravens. The Seahawks are great, but they aren’t built for the long-haul like San Fran. The 49ers really should have won last year, but Navorro Bowman was long to a season-ending injury. If Bowman comes back and can get healthy then this team might take the final step and win it all. Colin Kaepernick didn’t take the step back that some might have thought last year, he just didn’t take the step forward that most expected. With an improving receiver corps including Michael Crabtree, Anquan Boldin, Steve Johnson, and Vernon Davis, Colin should be given every opportunity to make moves. Frank Gore keeps it together and is consistent as hell, barring any extensive injuries this veteran team can and should make a big push all season long. Seattle (11-5). Marshawn Lynch truly was “Beast Mode” through all of last season, but will all the carries hurt him going forward? Conventional wisdom says yes, but Lynch has really only gotten better since arriving in Seattle. With an entire season from Percy Harvin you’d expect a better offense, but I’m not convinced that will be the case. Harvin will offer more looks and a better consistent passing game for Russell Wilson, but the Seahawks proved they were good at how they played last season. Whether the Legion of Boom is as great as last season or not may not matter if an aggressive offense becomes the focal point. The sometimes boring way of running the offense last season was able to completely embarrass the Broncos in the Super Bowl, why mess with a good thing? Arizona (9-7). The Cardinals are a very talented, though aging, group of players. Michael Floyd may very well surpass Larry Fitzgerald as the top receiver for the Cardinals this year. Andre Ellington will likely stake his claim as breakout player on a productive offense and Carson Palmer will continue to put up big numbers (at least 4000 yards) just because. The real strength of this team and this division is on defense. While they lost Karlos Dansby to the Browns, they still have the best cornerback in the league in Patrick Peterson flanked by Antonio Cromartie and a solid defense line with Calais Campbell and Darnell Dockett. Sneaking into the playoffs might not be such a stretch. An emerging megastar with all the talent in the world will need it for the Rams to compete. St. Louis (8-8). The Rams are one of those teams that you have been waiting for the past few years to make a move for better or worse. Most of those expectations hinge on the shoulders of former #1 pick Sam Bradford. After a promising rookie season, Bradford hasn’t been able to stay healthy for an entire season and the receiver corps hasn’t developed the way they had hoped. Well, with a young potential star in Zac Stacy and a dynamic receiver in Tavon Austin, it looks like there’s hope for this younger group. The real strength has been on the defensive side of the ball. 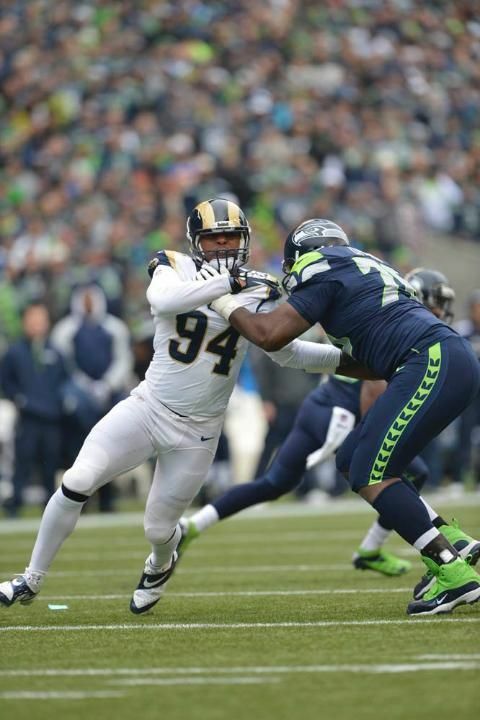 Three young players stand out above the rest: Robert Quinn, Chris Long, and James Laurinaitis. Long has the pedigree and the build to be successful for a long time. Laurinaitis is the team leader and fan favorite as he was much of his Ohio State career. And then there’s Quinn, who’s likely a top 3 player at his position. The future could be bright, or not. We will have to wait and see.